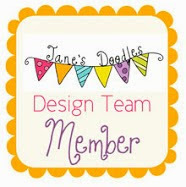 This week at AnnaBelle Stamps we have a sketch challenge as we have come to the end of another month. Where is this year going? Well even though I am on holidays at the moment, my mojo is somewhat lacking, as silly me decided to have a garage sale this Saturday!! Therefore in order to get some inspiration flowing through my veins, I decided to look through my archives and find some inspiration from a previous card. 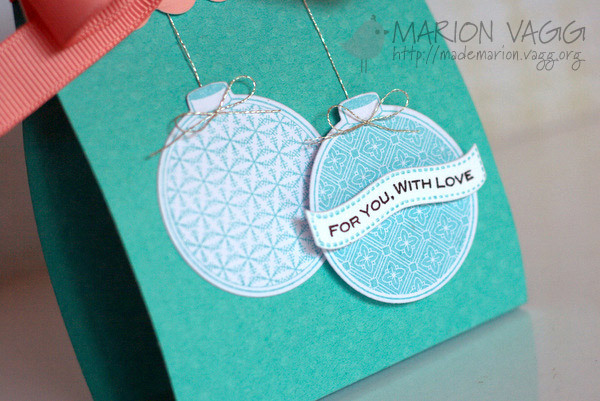 When I came across this Christmas tag I created last year…I decided to do a remodel and make it into a card. So glad I am taking the KickStart Online Class. Other Supplies: WRMK Corner Chomper, MFT Layered Label Die, Cuttlebug, AnnaBelle Stamps Metallic Sprinkles, Copic Markers – RV29, R29. This week’s winner will receive a $10 Gift Voucher to the AnnaBelle Store. Hope you will find the time to play along. Be sure to check out the rest of the Belles projects – their links are on my sidebar. Well after another busy term at school, I can now say I am on holidays for 2 weeks! Hopefully I will get some time to take a breather and maybe do some more crafting! 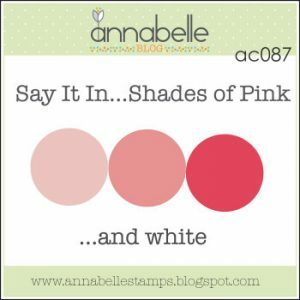 This week at AnnaBelle Stamps we are saying it with Shades of Pink. The Belles are using any Lil Belle stamp set for this challenge. 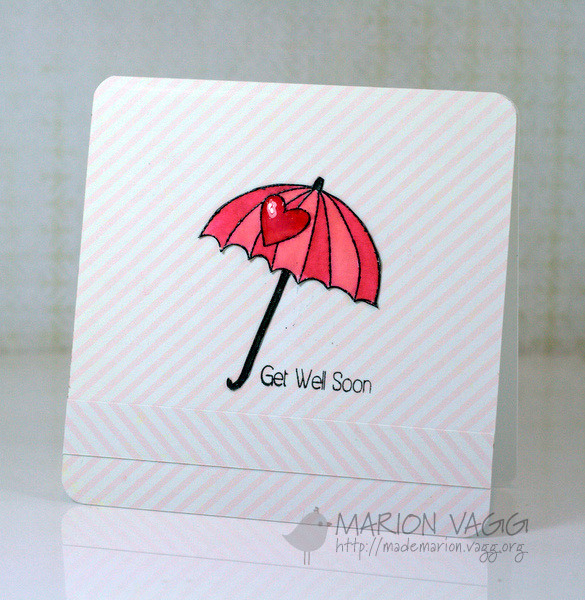 I have used the umbrella from A Beautiful Day and the sentiment is from Lil Molly’s Flowers. I coloured in the umbrella with Distress Markers and a water colour pen. 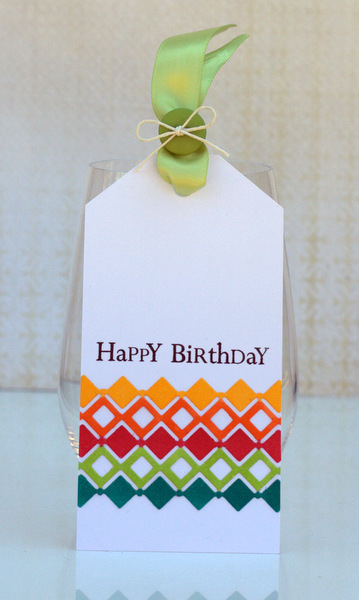 Welcome to the latest stamp and die release blog hop for AnnaBelle Stamps. You should have arrived from the lovely Kylie’s blog. 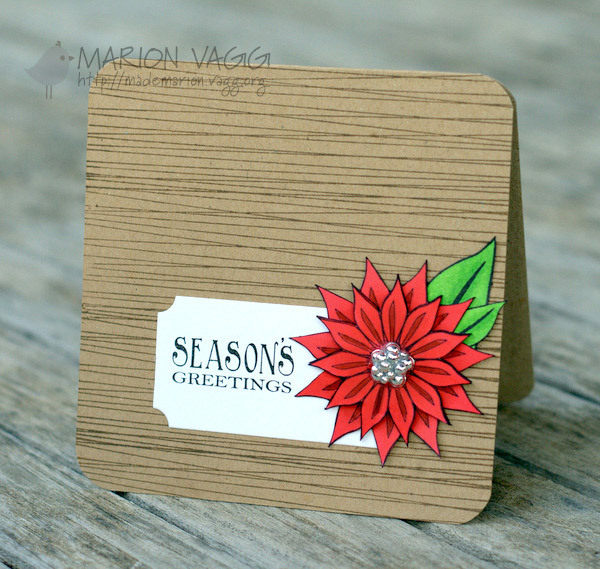 Today the stamp set ‘Decorated Christmas’ is being released into the store along with it coordinating dies ‘Cuts by Design 003’ and also a decorative border die. Check them out. 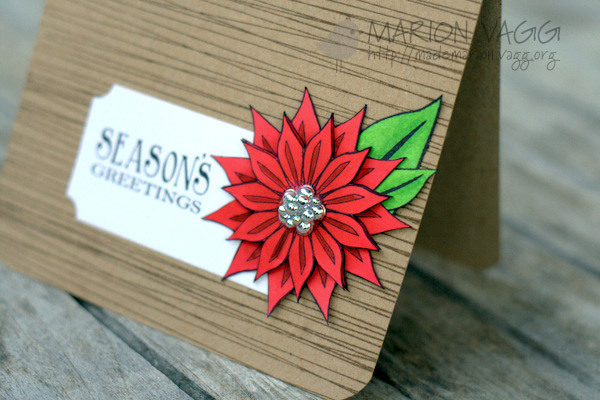 This morning I showed you a Christmas Treat bag using the Decorated Christmas stamp set and die (go here if you missed it), so this afternoon I thought I would make a card using the decorative border die. It is designed to compliment the Decorated Christmas set, but I wanted to show you how versatile it is and I have made a non Christmas card and matching tag. Fun fun. After die cutting the border I coloured it in with different colours of Copic Markers. 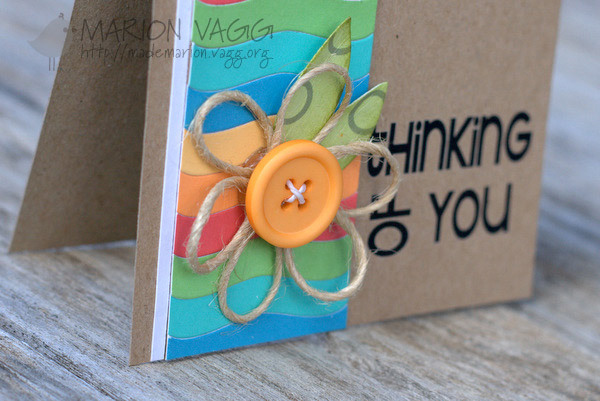 The sentiment is from the ‘Shape it Up’ Stamp set. Now for a GIVEAWAY. 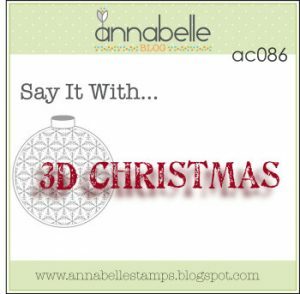 In order to be in the running to win your very own ‘Decorated Christmas’ Stamp set and coordinating die, you need to comment on all of the DT’s blog and then head back to the ABS blog and add your name to the inlinkz. 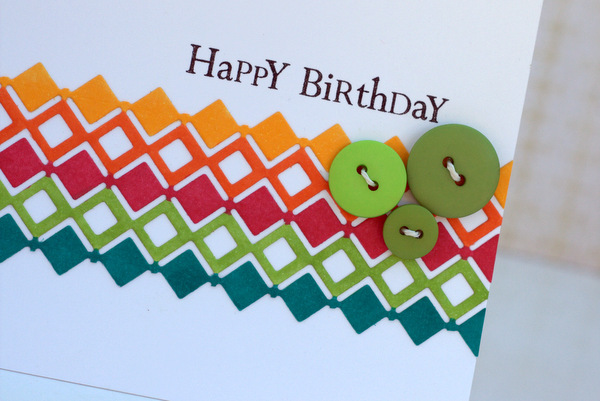 AND lastly it is AnnaBelle Stamps 3rd Birthday, so Andrea is having a birthday sale for this weekend only. Go and grab yourself a bargain. 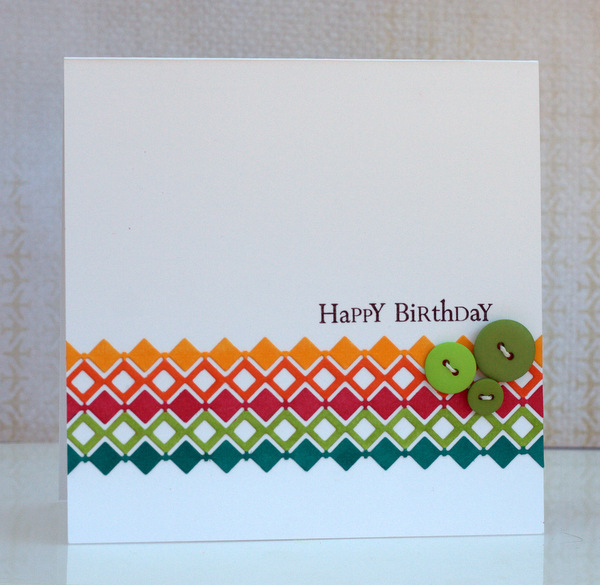 Welcome to this week’s challenge at AnnaBelle Stamps. Hope you are ready to don your Christmas hat this week as we have another Christmas challenge. 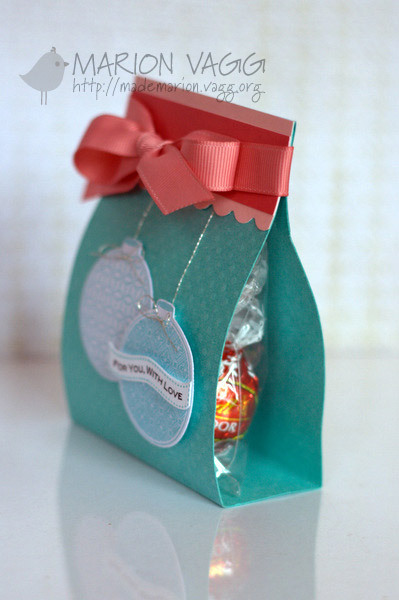 I decided to make a little Christmas treat bag with some new stamps and dies that are being officially released this afternoon at 4pm (AEST). Be sure to check back then for the full reveal.